The first day for students is still one week away, but excitement is building at Harry Hooge Elementary in Maple Ridge, BC as our teachers prepare for a new year. As a principal, I am so excited to see the changes our teachers are making as we continue working towards our two school goals: one focussed on inquiry and the other on self regulation. These two topics blend seamlessly, as we are working to create learning centred spaces where students have all the tools they need to engage in meaningful exploration. As we teach students how to respond to stress, we help them understand their own emotions and develop the skills they need to cope in all situations. When we create calm environments conducive to learning, students are more likely to wonder, create, collaborate, and explore great questions. Six months ago, educators at our school formed a learning team to learn more about self regulation. We visited schools in West Vancouver and Coquitlam to learn from educators who have changed their teaching to help students regulate and understand their own emotions. We brought in guest speakers, watched webinars and studied two books, Calm, Alert and Learning by Stuart Shanker and The Zones of Regulation by Leah Kuypers. Throughout our journey, teachers and EA’s have asked great questions, shared ideas and transformed their classrooms. 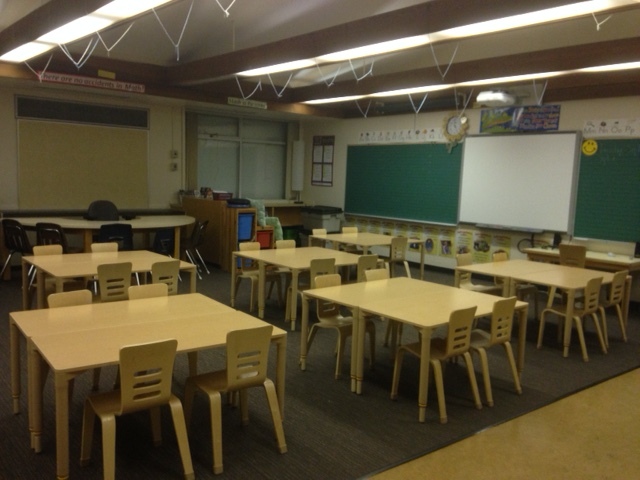 As teachers set up their classrooms for this September, it is evident that our learning is transforming our practice. 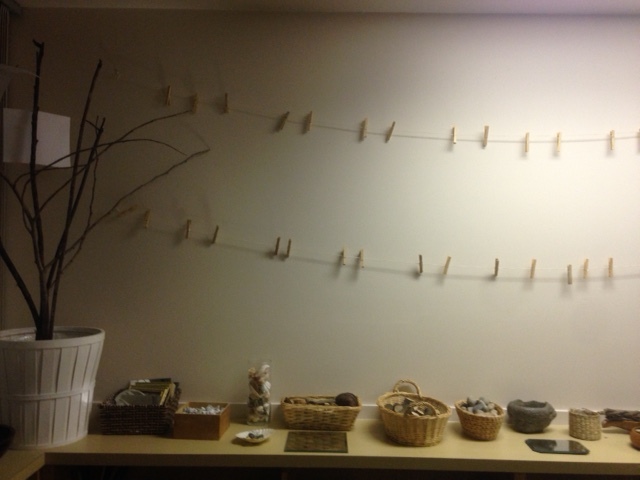 Teachers are moving away from brightly coloured classrooms and creating much more natural, calm work spaces, allowing students to relax and focus. 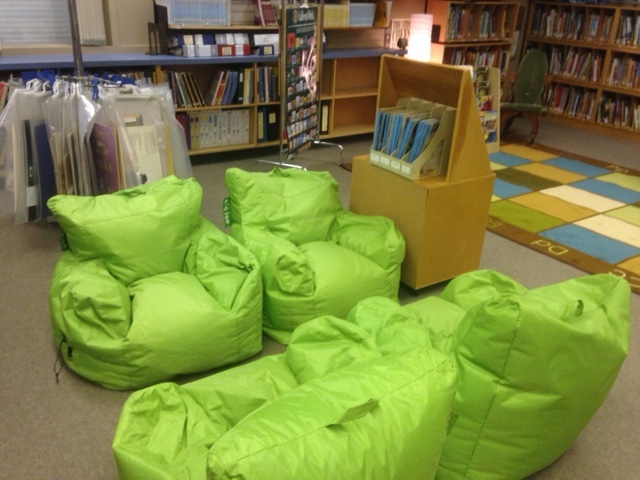 Teachers are creating alternate seating arrangements, where students can use bean bag chairs, stools or carpet based on their needs. 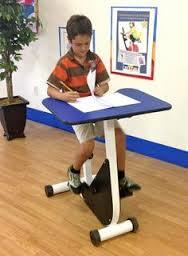 Students who are ‘wigglers’ can choose to sit on wiggle cushions, exercise balls, or they can choose to pedal while they work using our under the desk bikes. 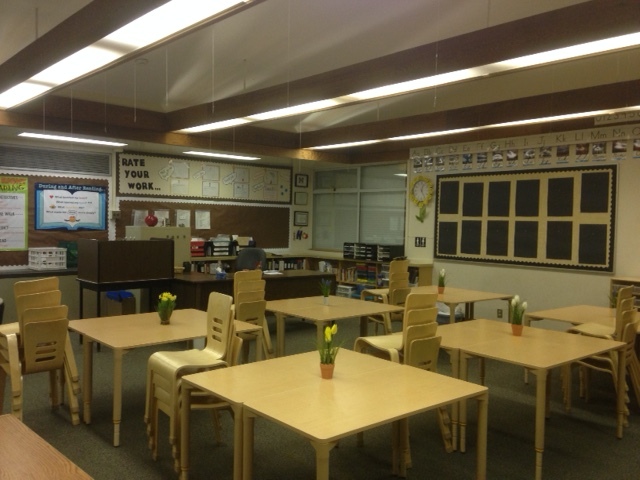 In my office, I got rid of the ‘principal’s desk’ and have created a conversation space and a place to stand and work. Our library has become a learning commons with great spaces for students to read, collaborate, or use iPads to research inquiry questions. 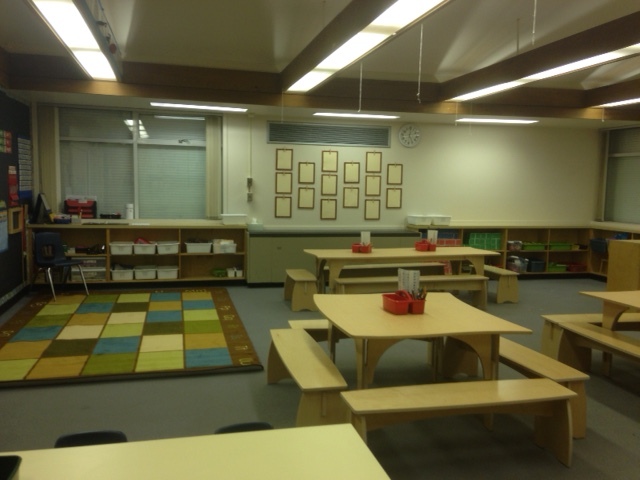 Our classrooms are transforming into calm, creative spaces where students can re-configure tables to work in small or big groups. 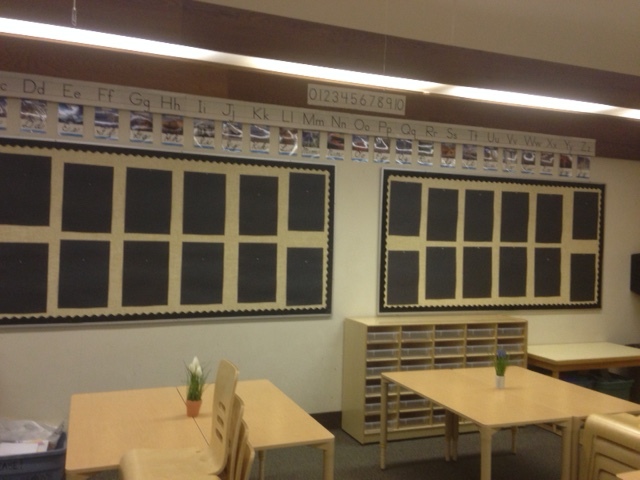 Teachers are reducing visual distractions, and creating unique spaces where each child can display one piece of work at a time. New table seating allows students the opportunity to keep supplies on surrounding shelves and only bring the necessary tools to their work area. This cleaner, simpler approach allows students to focus on the task at hand. 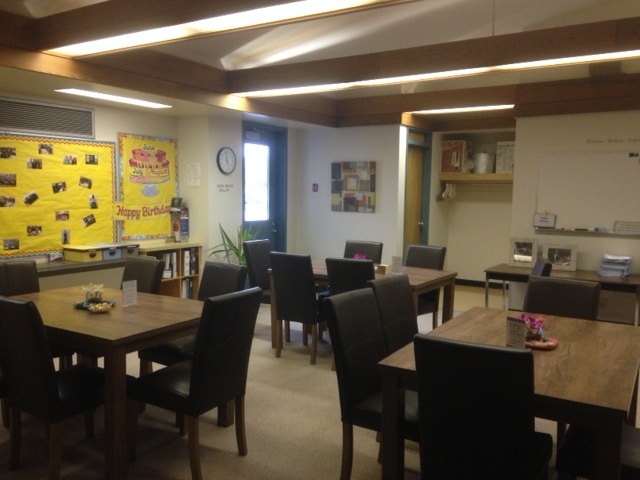 Our staff room is de-cluttered and provides a calm space for teachers to eat, re-energize and share ideas. As we gear up for the 2015-2016 school year, we will dig deeper into our school goals, develop common language around self regulation and create resources for parents to use at home. Like our students, we will continue to wonder, ask questions, take risks, and learn together. I am so happy to be part of such a vibrant learning community. We are happy to share our learning with others and welcome visitors throughout the year to discuss our journey with self regulation and inquiry learning. Here’s to a great year full of great questions! This entry was posted in Uncategorized and tagged inquiry, self regulation. Bookmark the permalink. Not sure if you remember me, Paula Ross. My sister, Shanna, went to school with you. 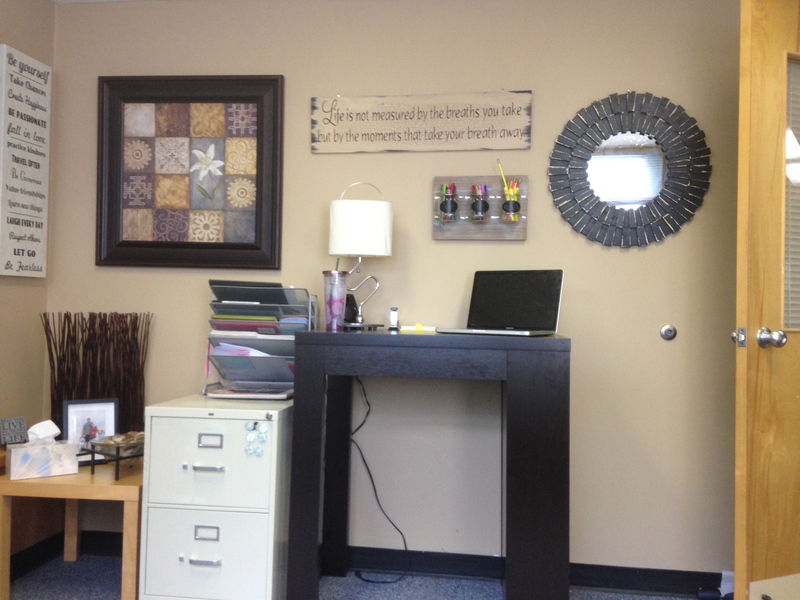 I am looking into redesigning my classroom space to declutter the work area and my life. Did you purchase the furniture for your staff? Where did you order the tables from? My desks are about 30 years old and would like to order new things (not sure my principal would agree) and thought I would find out the details so I could add it to my wish list. Hi Sorry for the delay! We bought from Natural Pod and from Mitybilt 🙂 Good luck!